Dennis Riley was born on October 22, 1935, in Viroqua, Wisconsin. He enlisted in the U.S. Army on March 30, 1954, and served as an Infantryman until leaving active duty and joining the Army Reserve on March 28, 1957. SP3 Riley received an honorable discharge from the Army Reserve on February 5, 1958, and enlisted in the U.S. Air Force on February 6, 1958. 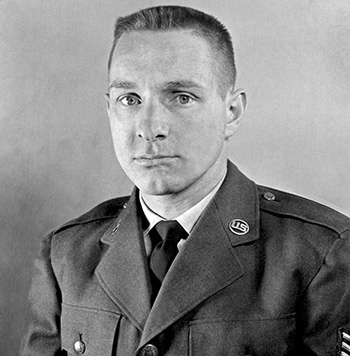 A1C Riley served as a B-47 Stratojet aircraft mechanic with the 380th Organizational Maintenance Squadron of the 380th Bomb Wing at Plattsburgh AFB, New York, from July 1960 to January 1962, followed by service as a missile maintenance technician and assistant missile crew chief for Atlas ICBMs with the 556th Strategic Missile Squadron at Plattsburgh AFB from January 1962 to May 1965. His next assignment was with the Recreation Services Branch of the 380th Combat Support Group at Plattsburgh AFB from May 1965 to February 1966, and he then attended Radio Relay Equipment Technician school at Keesler AFB, Mississippi, from February to December 1966. SSgt Riley served as a Radio Relay Equipment specialist and then as NCOIC of Radio Relay with Detachment 8 of the 601st Tactical Control Squadron at Sembach AB, West Germany, from January 1967 to January 1971, followed by service as NCOIC of Radio Relay Maintenance with the 3rd Mobile Communications Group at Tinker AFB, Oklahoma, from January to August 1971. TSgt Riley served as an Electronics Instructor for Communications Equipment Maintenance Training with the 3413th Instructor Squadron at Keesler AFB from September 1971 to September 1974, and then as NCOIC of Radio Relay Communications with Detachment 171, U.S. Logistics Group Turkey, from September 1974 to September 1975. His final assignment was as an Electronics Instructor back with the 3413th Instructor Squadron at Keesler AFB from September 1975 until his retirement from the Air Force on March 1, 1978. Technical Sergeant Dennis J. Riley distinguished himself by meritorious service as a Technical Instructor, Radio Relay Branch, 3410 Technical Training Group, Keesler Air Force Base, Mississippi, from 26 September 1975 to 28 February 1978. During this period, Sergeant Riley's outstanding professional skill, knowledge, and leadership aided immeasurably in identifying and correcting problem areas in the Radio Relay Repairman Course. Through his professional competence and leadership, he has made significant contributions to the increased effectiveness of this unit. 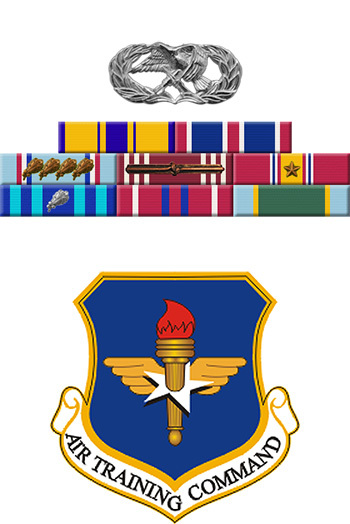 The distinctive accomplishments of Sergeant Riley culminate a distinguished career in the service of his country and reflect credit upon himself and the United States Air Force.